Reboot Congress: Claire McCaskill: Proud to be Your Politician! Congratulations to Todd Akin (R-MO) for winning the Republican primary for US Senate from Missouri and for distinguishing himself as a "Public Figure"! 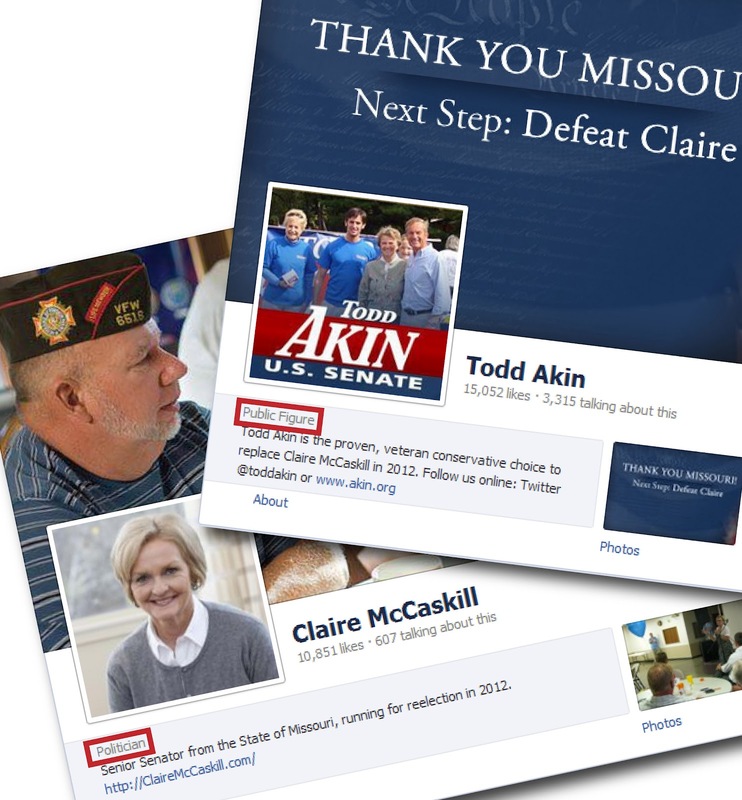 The picture to the right includes screen captures of both Todd Akin and Claire McCaskill's Facebook pages. 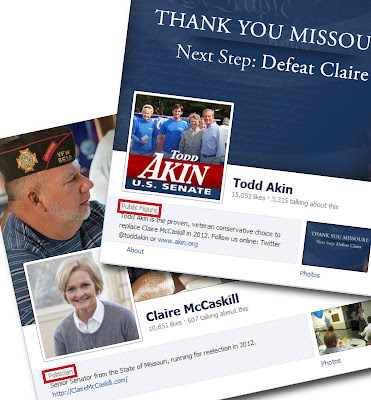 While Akin has identified himself as a "Public Figure", Claire McCaskill has tipped her hand as just another business as usual "Politician".